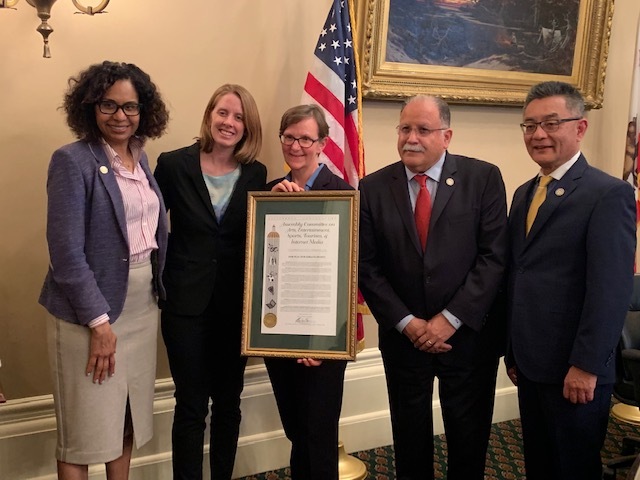 Legal Aid at Work’s Fair Play for Girls in Sports project was honored to receive an award at a Joint Informational Hearing of the California Assembly’s Committee on Arts, Entertainment, Sports, Tourism and Internet Media and the Higher Education Committee on March 25, 2019. The Committee Chairs, the Honorable Kansen Chu and the Honorable Jose Medina, along with the Honorable Sydney Kamlager-Dove presented the award to Legal Aid at Work Attorneys Elizabeth Kristen and Kim Turner. The award recognizes the work that the Fair Play has done to bring about gender equity in California schools and park and recreation departments over the last 15 years. It also notes Fair Play’s important focus on assisting girls of color and those from low-income communities and commends Fair Play for its leadership in securing equal opportunities, treatment, and benefits for girls in athletics. The Committee applauded Fair Play for its commitment to upholding Title IX and California state laws requiring gender equity in sports. 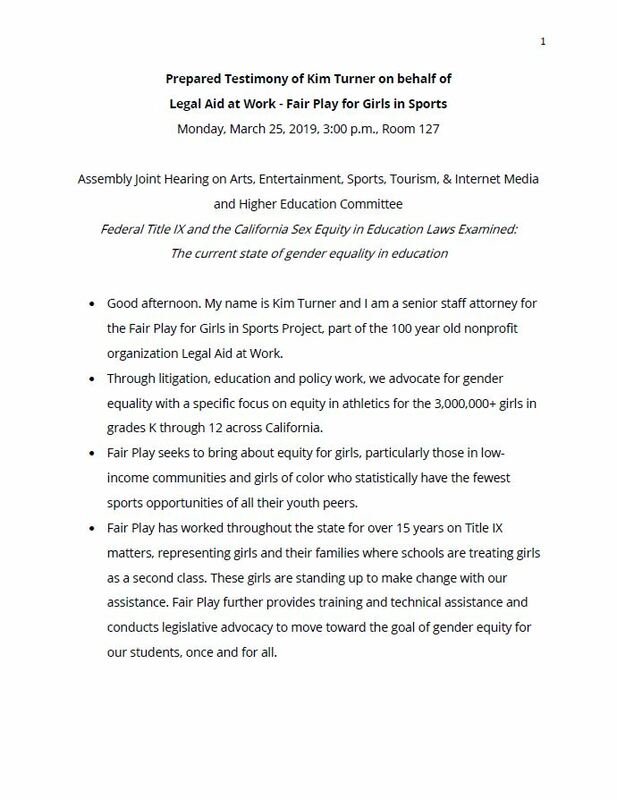 Kim Turner of Fair Play also testified at the Joint Hearing on the current status of Title IX and state law equivalents with respect to gender equity in youth sports in California.